While most Canadians were certain they could get by or make ends meet, only about half were very satisfied with their ability to save, afford housing or have enough disposable income to enjoy life, according to a nationwide survey conducted by the Gandalf Group for The Globe and Mail on happiness and satisfaction. Vancouver-based artist and musician Kim Glennie has always leaned toward frugal living. Growing up, her parents were careful with money, which left a lasting impression. These days, working in animation, film and television, Ms. Glennie knows the reality of contract work: There is no job security and no pension. In order for her and her spouse to purchase the small condo they call home a decade ago, for $273,000, the pair essentially lived off rice and beans for a year. They managed to save a 5-per-cent down payment at a time when they were earning approximately $32,000 each. Ms. Glennie describes her financial situation as improving, with a plan of action. The Gen-Xer considers herself extremely content. “I’m an optimist and free spirit by nature,” Ms. Glennie says. "That optimistic sense of denial probably has a downside, too; I definitely took longer than some to start understanding and saving money. “For me, being more intentional about finance has made me become more intentional in all areas of my life, from how I treat others to how I make choices about what I consume and being grateful for what I do have,” she adds. Money does play a role in how happy Canadians are, according to a recent Globe and Mail survey on happiness in the population. Though it is not the whole picture. Sixty-seven per cent of Canadians reported being very happy, generally speaking, and 68 per cent said they’re very satisfied with their lives, the nationwide survey conducted by the Gandalf Group found. The online survey of approximately 2,500 adults looked at people’s overall happiness and level of satisfaction with specific aspects of their personal, family, social, work and financial lives. Just 5 per cent of Canadians said they are very unhappy. Interested in more information from the survey? Here are results. While most of those surveyed were certain they could get by or make ends meet, only about half were very satisfied with their ability to save, afford housing or have enough disposable income to enjoy life. Forty-three per cent agreed they are falling behind financially. Perhaps not surprisingly, income proved to be a strong factor when it comes to satisfaction with personal life, work and finances. Almost 80 per cent of households earning more than $150,000 annually reported being very happy, compared with 57 per cent of those making less than $50,000. Debt levels were less of a concern than saving for retirement among Canadians surveyed. Middle-aged Canadians (those aged 45 to 54) were most concerned about retirement savings. Less than half of all Canadians surveyed (43 percent) were very satisfied with the financial advice they receive. Many said they either don’t receive advice at all or were ambivalent on the subject. For Ms. Glennie, taking charge of her finances has helped her feel more at peace. She asks questions of experts (such as bank personnel and her mortgage broker), does her own research and reads up (she knows what Warren Buffett has to say about index-fund investing and follows financial advice from personality Dave Ramsey), listens to podcasts like ChooseFI (for “financial independence”), and has specific goals to keep her on track. For example, she aims to put at least 15 per cent of each paycheque toward long-term savings. “Personal finance is a passion of mine,” she says. “The idea of financial independence is really about making very conscious choices, reducing unnecessary expenses, and appreciating what you do have. Derek [her spouse] and I both have never really been big consumers and don’t have things like car loans, monthly subscriptions ... or even Netflix. The expenses are pretty simple. We also cook at home and take our lunches to work. Whether it’s plausible to be truly happy when your financial picture isn’t optimal is up for debate. Financial experts, however, share Ms. Glennie’s view that knowledge is, if not power, then at the very least a step toward feeling better. 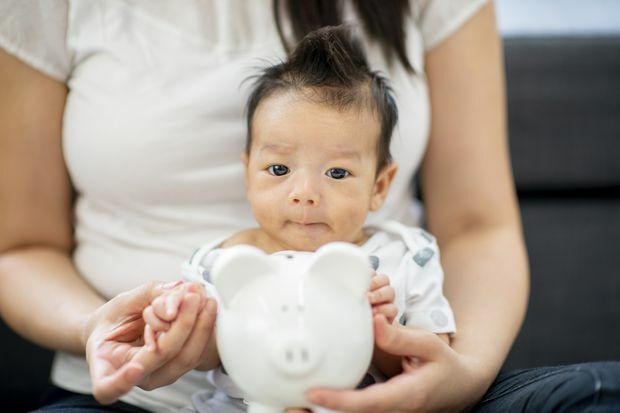 Certified financial planner Laura Chanin, an investment advisor with HollisWealth based in Surrey, B.C., says that regardless of income, taking the first step toward being in control of finances can make a tremendous difference in a person’s overall outlook. She suggests starting by getting an accurate financial picture: what you own and what you owe, plus cash flow. Tracking spending is an eye-opener for many. “Life doesn’t always go as expected, but having a plan that is flexible can give a lot of comfort. Karin Mizgala, a certified financial planner and co-founder and CEO of Money Coaches Canada, says she isn’t surprised to hear that so many Canadians feel financially overwhelmed. She points to factors such as incomes not keeping up with the cost of living, especially housing in major cities; social media (comparing ourselves to others who have far more means, including celebrities); busy lives (holding down demanding jobs, raising children, helping aging parents); and easy access to credit. No wonder it’s hard to stay on top of increasingly complex financial scenarios. The antidote, Ms. Mizgala says, consists of a financial plan and trustworthy advice. She suggests determining what goals are priorities and making a detailed outline with concrete, practical, manageable steps to achieve them. She also advises facing finances head-on.